The fashion industry in general, and Vogue magazine in particular, are never far from controversy. 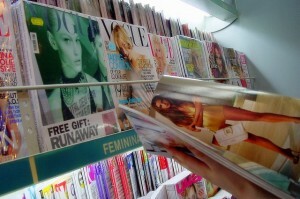 From minimizing the involvement of women of color in trends like the “big booty” to outright racist shoots and covers, Vogue has created an image as a white-women only, social-context oblivious publication. But on Monday, the Vogue website posted an article on cultural appropriation. Granted, it was a fashion profile piece on someone not affiliated with the magazine, but it was still posted on the website and given attention. Is Vogue trying to turn a corner and make up for its past? I really hope so. Of course, an article about cultural appropriation isn’t nearly the same as acknowledging past and present racism, but it could be the first step of many involved in positive change. The conversation around cultural appropriation is highly nuanced, and the fact that Vogue was interested enough to publish an article on it shows promise. Cultural appropriation involves using important things from another culture and trivializing them by making them part of fashion. It is becoming especially relevant in our media-laden, spectacle driven society, in which people at the center of the spotlight strive to be different and in doing so often steal from other cultures and interpret them disrespectfully. Selena Gomez was criticized earlier this year for constantly wearing bindis and other traditional Hindu dress at her performances. Pharrell Williams, Heidi Klum, Gwen Stefani, Ellie Goulding, and many others have all recently been criticized for wearing traditional Native American headdresses for photo shoots or music videos. Cultural appropriation is becoming more visible in our visual culture, and celebrities put themselves in public view without understanding the meaning of their choices. Borrowing elements from multiple sources is a big part of fashion and style, but publications like Vogue have never seemed to understand the difference between borrowing respectfully and treating culture like a costume. Vogue has made many mistakes, but as the conversations around cultural appropriation grow, they can’t continue to ignore them. Publishing this article with Sall’s quotes about appropriation, instead of cutting them out, to me implies a desire for change. Hopefully, Vogue will take even more drastic action in the future to continue their journey towards cultural awareness. ← The Political Lowdown: Is our Internet in danger of being censored?